Mosquitoes seem to be most active when it is just getting dark, but are they also attracted to light like many other insects? To most of us, it feels like mosquitoes are always around, day or night, light or dark. Some people also say that the clothes you wear make a difference to how attractive you are to mosquitoes. Does it really make a difference if you are wearing light or dark clothes? Read on and find out! If you really want to know whether light or light colors are attractive to mosquitoes, I’ve done some extensive research for you that I’d like to share in this article. By knowing more, and knowing what to look for when selecting an efficient mosquito lure, you can prevent them from coming too close whatever the time of day or night. Use this knowledge to your advantage! It has been scientifically proven that mosquitoes are attracted to light. They are also attracted to body heat, carbon dioxide, and certain chemicals found in our sweat. Mosquitoes can be nocturnal, diurnal or crepuscular, which means that different light sources can attract different mosquito species. In the modern world, however, mosquitoes’ attraction to light levels isn’t as clear-cut as this might seem. And mosquitoes are quite clever, adjusting their body clocks to suit their victim’s levels of activity. It seems that some species are most active when we are out of bed, especially in countries where many people use mosquito netting around their beds. Very clever animals, mosquitoes! We also have to think about light pollution. Electric lighting – especially fluorescent and LED bulbs – can also quite a lot of UV light, just like the sun. And then there’s the weather. We can have particularly bright days, or gray days, sunlight that lasts well into the late evening, or starts very early in the morning, depending on where we live. Is a mosquito really able to look at the levels of light and decide whether it’s bright enough to bite? Do Mosquitoes Prefer Light Or Dark? Different mosquitoes are more active at different levels of light. Even within a single mosquito genus, mosquito species behavior in light or dark can vary. Mosquitoes can be diurnal, nocturnal or crepuscular, preferring to be more active in the day, night, or twilight and dawn, respectively. This preference to light levels is important when it comes to preventing mosquito bites. Culex mosquitoes – Crepuscular biters. Or in common people language: They come out when the sun sets. This is quite bad news, as these are the three most common, globally spread mosquito types. Whatever the time of day, there’s a potential biting mosquito out there waiting for you. 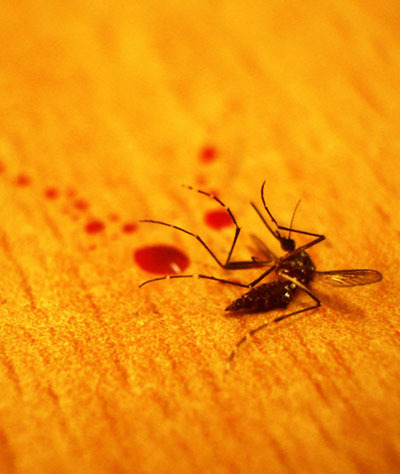 If you have read some of the articles on my site already, you will know that it’s only the female mosquito that bites. That’s still fifty percent of the population whizzing around throughout the day and night. So if you adjust the light levels in your home or in the yard, doesn’t that mean you might put one sort off, but attract another? The answer is no, not really. Whether your mosquito population is most active in the day, night or in between, a light-source – or more specifically a light-trap – is still a very effective way of catching and killing mosquitoes. What’s more, the kind of light used in the trap can make a big difference in how many of them you catch and kill. A correctly placed (and correctly manufactured) light-trap will make a significant difference in the number of itchy lumps you have to show your partner or friends, from spring through to fall. Mosquitoes have been proved to be attracted to certain colors; this is why many mosquito traps are fitted with black (UV), purple or blue light. There are no colors that actively repel mosquitoes, but there is a wide band of the light spectrum that mosquitoes can not see and which therefore won’t either attract or repel them. Mosquitoes are color-blind for the red and infrared spectrum. Ultraviolet, i.e. UV light (or black-light). Are Mosquitoes Attracted To UV Light? On its own, UV light is not enough to attract a mosquito. However, the UV rays can add an extra signal to other mosquito attractants, such as carbon dioxide or heat. As light sources also emit heat, they are often successfully used in mosquito traps, especially combined with pulse width modulation (flickering) and color bandwidths from ultra-violet to green. Our ancestors knew that light generally attracts insects. In fact, the first ever electric insect trap was a simple bulb hung over a washtub of water. There are a hundred reasons why this set-up wouldn’t be allowed today! But the theory behind it was right. An old but often quoted study on mosquito attraction to different types of light has been the basis of countless others. These nearly all agree with the discovery that bright UV and blue light are the best light sources for attracting mosquitoes. Modern black-light traps seem to be the most popular towards the largest numbers of mosquitoes, especially when combined with other types of lures. Let’s look at the light trap topic with a little more detail. Mosquito Light Trap: Can It Attract Them? Mosquito light traps must have the right combination of light intensity, light color, heat, and added attractants in order to work well. If a light-trap must compete with a full moon, strong yard lighting, or bright desk lighting, it will perform less efficiently. The most efficient mosquito light traps attract mosquitoes using intense black or blue light, carbon dioxide or octenol, and heat. One popular choice to be found on Amazon.com is the Flowtron BK-15D electronic insect killer. This model has become extremely popular for three important reasons. Octenol cartridges (to lure mosquitoes). Why are these features so important? We’ve already seen that high-intensity black-light is the most attractive form of light for mosquitoes. But the low wattage of this bulb is equally important, because it doesn’t emit too much heat. This means any female mosquito looking for a drink will be more liable to think the trap is a human. You can also attach octenol cartridges to the trap. Octenol is one of the chemicals found in our breath and in our sweat – and also, incidentally, in bananas. It is not toxic, but it will add another level of interest to your trap and increase the chance of mosquitoes being attracted to it (where they are quickly zapped) before they find you. So we certainly learned something today. Mosquitoes – and many other insects for that matter – are in some way or shape all attracted to light sources. But there are some realities we need to consider. 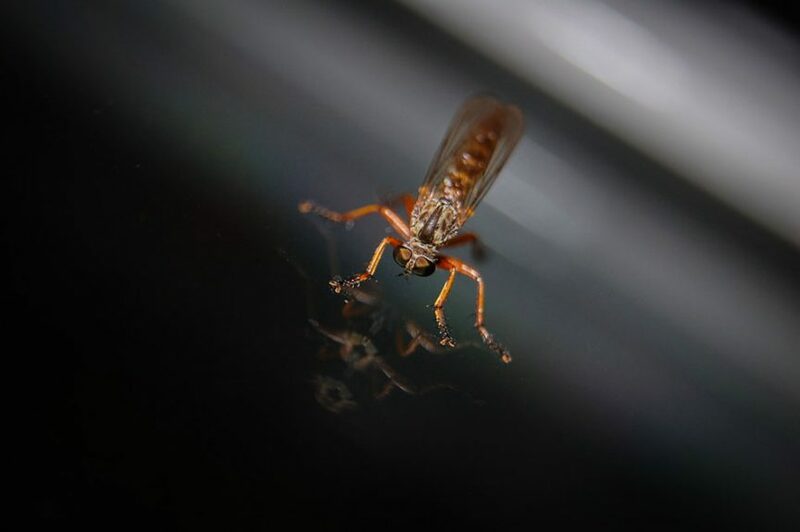 Light pollution can mean that mosquito light-traps don’t work as well as they should, and this has led to lots of negative experiences with these types of products. Add a natural chemical lure such as octenol or carbon dioxide to cover your own odors. Place the trap away from other bright light sources (preferably in a dark place). Make sure the bulb isn’t one that emits excessive amounts of heat. Only then can you happily sit back and watch the smoke rise as those pesky mosquitoes fry! Do look around for more advice on my blog, I’ve got tons of articles for you that will help you keep those pests away. If you hate insect bites as much as I do, I’m sure you’ll apply my advice in practice as well. Happy mosquito hunting, my friends.